Development of a live-action Shazam! film began at New Line in the early 2000s, but was delayed for many years. The film went into pre-production in 2008 with director Peter Segal and writer John August, and Dwayne Johnson considered to star as the villain Black Adam, but the project fell through. William Goldman, Alec Sokolow, Joel Cohen, Bill Birch, and Geoff Johns, among others, were all attached to the project as writers at various points. The film was officially announced in 2014, with Johnson attached to star as either Shazam or Black Adam. He would later be cast in January 2017 to lead a solo Black Adam development project. Sandberg signed on to direct Shazam! in February 2017 and Levi was cast that October with Angel joining the following month. Principal photography began in Toronto, Ontario, Canada in January 29, 2018, with most of the film shot at Pinewood Toronto Studios, and wrapped on May 11, 2018. Shazam! is scheduled for release in the United States by Warner Bros. Pictures in RealD 3D, Dolby Cinema, and IMAX 3D on April 5, 2019. The film received praise from critics for Levi and Grazer’s performances and Sandberg’s direction, as well as its light tone and sense of fun, with many considering it to be one of the best films set in the DCEU. While at school, Freddie is bullied by a group of kids. Billy intervenes and flees onto the subway, where he is summoned by Shazam. Shazam has Billy grab his staff and say, “Shazam!”, which transforms Billy into an adult with multiple superpowers. With Freddie’s help, Billy begins to learn the full extent of those powers. Freddie posts videos of Shazam’s powers, which go viral. However, after Freddie claims to know Shazam at school, he and Billy get into an argument at the dinner table over Freddie using Billy for his newfound powers. Billy begins to skip school to enjoy being Shazam, humiliating Freddie. Shazam accidentally causes a bus to fall off a bridge before saving it, causing Freddie to promptly reprimand him for abusing his powers. Upon seeing Shazam on the news, Sivana attacks him. Shazam is easily defeated, but he transforms back into Billy to blend into the fleeing crowd. However, Sivana captures Freddie, who was looking for Billy. 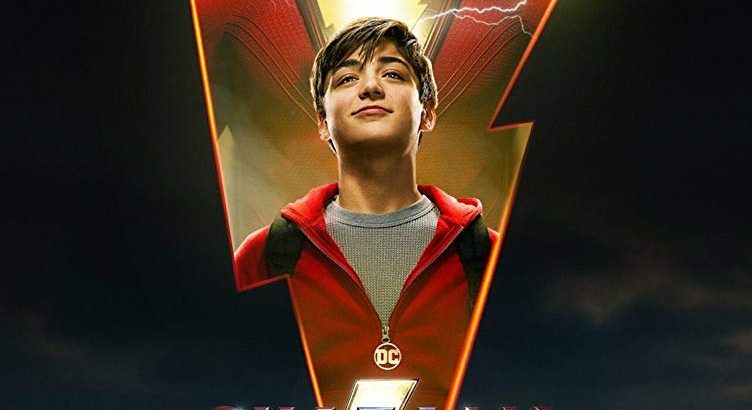 Billy’s siblings realize that he is Shazam, and they reveal that they found his mother. Billy runs from home and meets his mother, who reveals she abandoned him because she could not take care of him as well as the police could. As he’s leaving, Billy receives a call from Sivana, who has arrived at the Grazers’ home to find him. Upon Shazam returning home, Sivana threatens Billy’s siblings for Shazam’s powers. When Shazam agrees, Sivana takes them to the Rock of Eternity. During the ceremony, Freddie bruises Sivana, giving Shazam time to escape and causing them to realize that without the Sins, Sivana is a normal man. Sivana corners the family at a carnival, where the Sins threaten to kill Billy’s siblings if Shazam doesn’t give his powers. However, Shazam uses the staff to give power to his siblings, causing them to also become adult superheroes with powers. Shazam manages to defeat Sivana by taunting the final Sin, Envy, to leave Sivana before saving him. Using Sivana, Shazam takes control of the Eye of Envy, enabling him to contain the spirits. The group is considered as superheroes in the city, and Billy accepts the Grazers as his family. Billy shows up at school as Shazam to endorse Freddie before revealing that he brought a friend: Superman. In a mid-credits scene, Sivana, in his jail cell drawing multiple symbols across its walls, is interrupted by Mister Mind, who tells him of the pillars of evil that will come together. In a post-credits scene, Freddie tests whether Billy can talk to fish, only for Billy to dismiss the power as stupid.